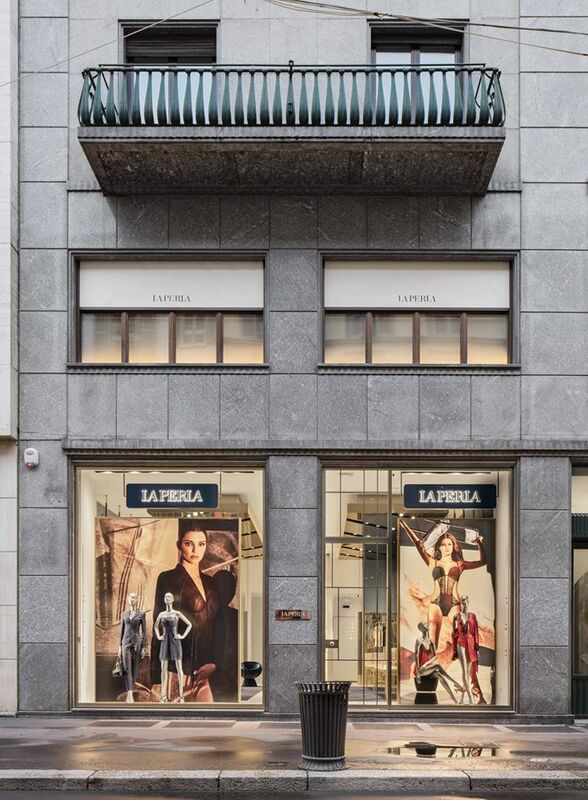 Italian lingerie and beachwear brand, La Perla has relocated its boutique on Milan's fashionable Via Montenapoleone to larger premises as part of its global expansion plans. 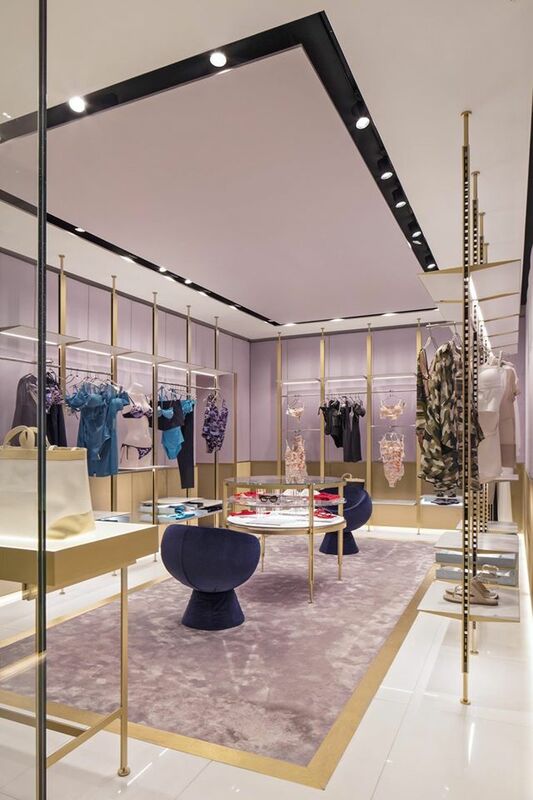 Spread across two floors, the new 240 sq m store is double the size of the previous location and is designed by Baciocchi Associati Studio (the architectural firm behind all La Perla boutiques that have opened since the brand was acquired in 2013 by Pacific Global Management). 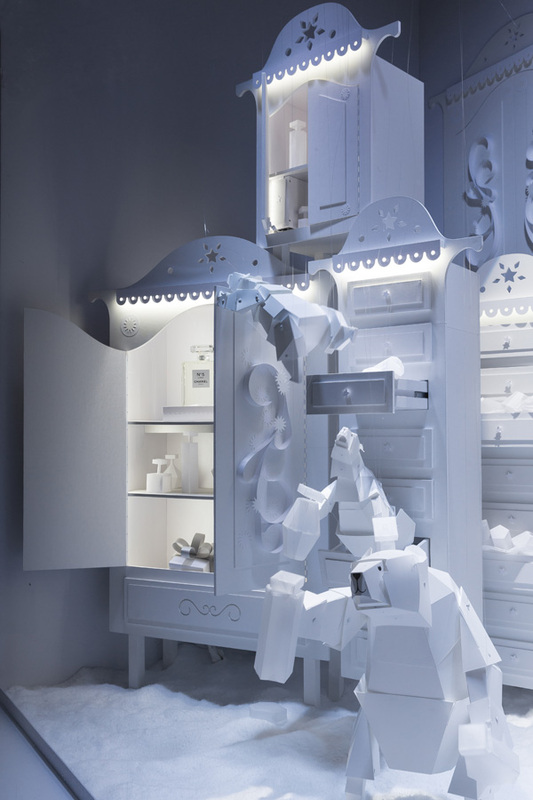 Using the brand's heritage as inspiration, the design concept echoes exquisite Italian craftsmanship. 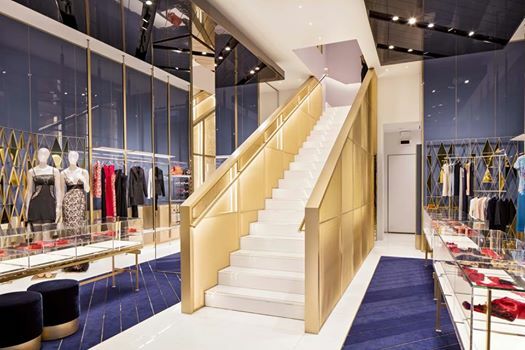 The entrance to the store is decorated with golden metal trims and the La Perla logo, which are set against a light blue background. 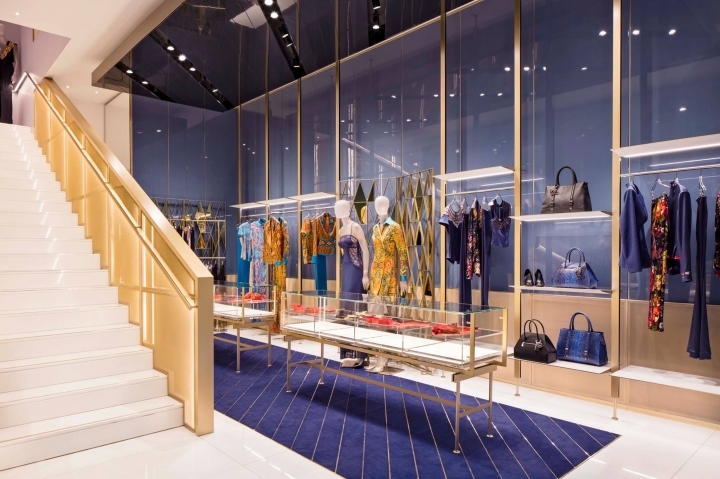 The ground floor is illuminated by pure white marble floors, which contrast sharply with the sapphire blue carpets adorned with metallic herringbone trims; a detail that is also evident on the dark blue aluminium ceiling. The walls are covered in powder blue panels and golden mesh accents, inspired by the weave of fine silk tulle - a symbolic fabric representing La Perla style. The juxtaposition of blue and white repeats on the stunning white marble staircase and on the soft, sinuous velvet-covered seats. The refined feel of the space is emphasised by the central pillar and private suite decorated with diamond-shaped mirrors, which showcase traditional Italian architecture. 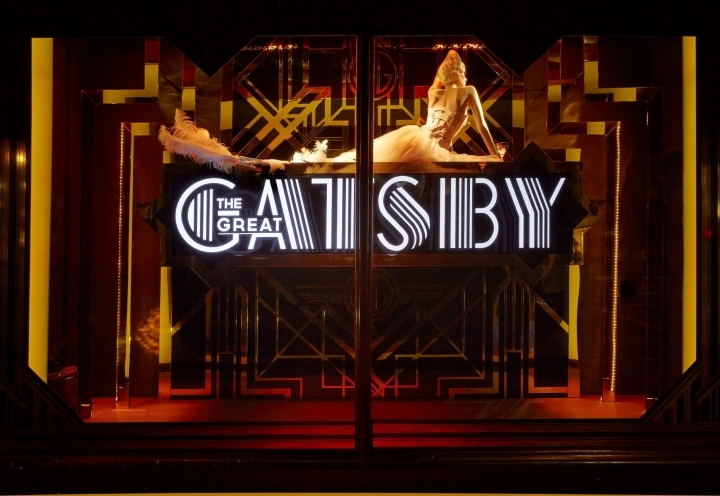 The first floor, meanwhile, is divided into four rooms, which are decorated with display niches and gilded mirrors. The colour palette varies in each space, from shades of lilac and amethysts to bold purple in the VIP suite. The store opened in February to coincide with Milan Fashion Week and the new Fall/Winter '17 ready-to-wear collection, inspired by the British Garden. 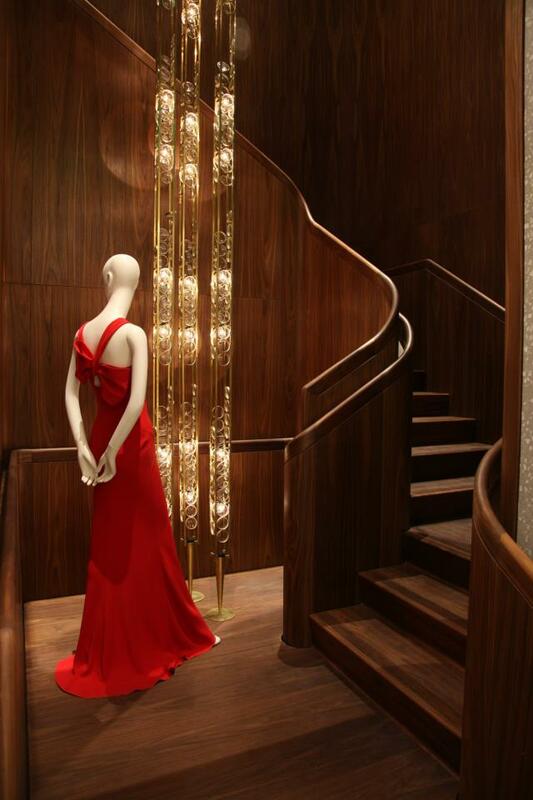 The La Perla boutique on Via Bocca di Leone in Rome has also doubled in size to accommodate the brand's new ready-to-wear collection, reflecting its new and expanded offering developed by creative director, Julia Haart.